If your dog has a problem with any type of anxiety — including separation anxiety — the behaviors that manifest can include panting, pacing, barking, whining, scratching, chewing or even inappropriate elimination. Anxiety attacks can be very taxing to both your dog and you. When a dog is suffering from such an attack, it’s important not to scold or punish it. You might also want to avoid any praising or petting behaviors because your dog may mistakenly believe that you would like the anxious behavior to continue. 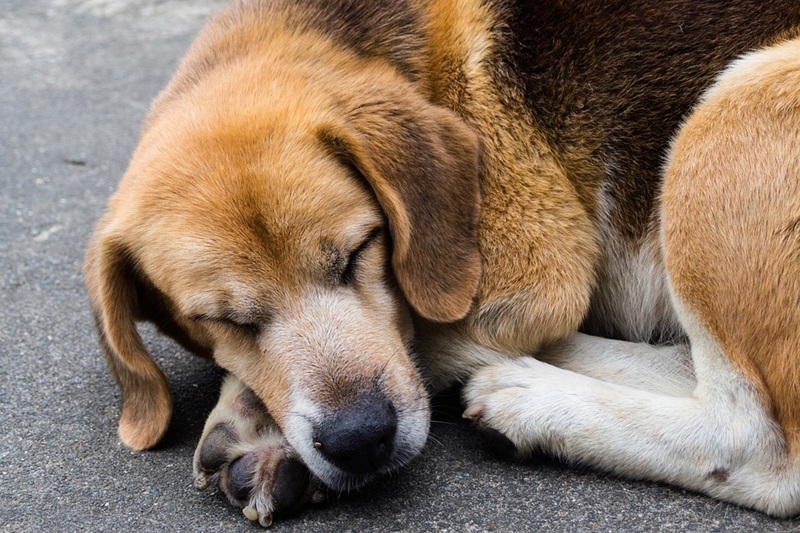 Although you can ask your vet for a prescription anti-anxiety medication, you may want to try one or more of these eight products, first, to see if you can help your dog naturally. Of course, your dog’s health and wellbeing are paramount, so consult a vet or see a dog behavioral therapist if you find that these natural methods aren’t helping. 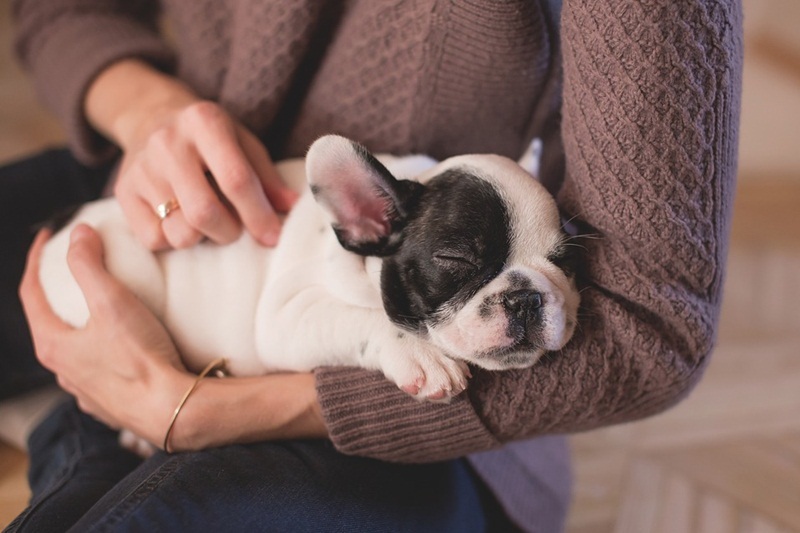 A calming collar is just what it sounds like – a collar that your pet wears that will help it become calmer. Calming collars use pheromone technology that can alter dog behaviors fueled by stress and anxiety, such as excessive barking, chewing or inappropriate elimination habits. Collars are available in multi-packs because their soothing chamomile and lavender fragrance will only last up to 30 days. If your dog likes treats — and what dog doesn’t — you might want to try calming chews. Calming chews are soft chews that you can give to your pet to help ease its anxiety and stress. Calming chews infused with CBD oil (for both large and small dogs) are available online and are made from a variety of natural ingredients. They are used as a supplement to your dog’s healthy diet and can usually be given two to three times per day — just like treats. They even come in a dog-friendly beef flavor. You’ve probably seen the big-name brand of dog anxiety jackets and the accompanying price tag, but that doesn’t mean that you have to spend that much money on this particular product. There are plenty of dog anxiety jacket manufacturers out there to choose from — some of which are much less expensive than the big-name brand. Dog anxiety jackets use a gentle form of compression to help alleviate anxious feelings in your pet. Think of it like when you swaddle an infant or place a weighted blanket on a person who is prone to anxiety. Apparently, the compression makes the dog feel more safe and secure. Although dog anxiety jackets work for a majority of dogs — approximately 8 out of 10 — your dog might not be one that responds by being more relaxed and less anxious. Make sure you choose a brand that offers a money-back guarantee in case the product is not effective for your dog. An anxiety dog bed has a soft fleece cover. To use, you’ll place a pillow you’ve slept on inside one half of its cover so that when your dog rests on the bed, it will smell your scent. The other half of the cover is flat. The idea is that the dog will place its head on the pillow side of the bed and the familiar scent of its owner will serve to comfort it and hopefully calm its anxiety. Dogs have sensitive hearing, and sometimes sounds that accompany events such as thunderstorms or firework popping can unnerve them and launch them into a full-blown anxiety attack. Sonic stress relief collars have a small device that emits calming music near your dog’s ears that can help distract your dog from worrying about the sounds that cause it to have anxiety. Calming diffusers for pet anxiety come in a variety of forms, such as wall plugs or lockets you can attach to your dog’s collar. Wall plugs have an attached reservoir that you can fill with a calming diffuser oil, and as it warms, it will waft into the air where your pet will smell it. When using a locket, you’ll place of few drops of a calming essential oil onto a small pad that fits inside the locket. The locket has small holes in it that will allow the scent of the calming oil to diffuse while your pet is wearing it. When the smell is no longer evident, you can take old the old pad and replace it with a new one. When using calming essential oils, never apply them topically to your dog’s skin or give your dog a chance to possibly ingest the oil — neither is considered an effective or safe use.